You may edit all of the information & Photo's in your RV For Sale Ad listed with RVclassified.com/DieselPusherMotorhomesForSale.com including changing your asking price, your ads expiration date, your vehicle description etc. by going to the Account Manager Menu. Only Standard and Featured listings can make their own changes. Basic ads contact your ALS for any changes needed. In the left column in the Account Manager Section enter your User Name and Password and click the Login button, this will take you to Your Personal ACCOUNT MANAGER INFORMATION PAGE All Changes and additions to your ad are made from this page. Note at times there may be a delay for changes / additions to actually display on your ad. Asking Price - expiration date - veh. description etc. At the far right of your Personal Account Information page click the Edit Link and you will be presented your original Vehicle information form. From this page you may make additions to your ad or make any changes necessary by deleting the incorrect information and re-entering the correct information. When you have finished making your changes/additions to your ad scroll to the bottom of the page and click the " Update Ad " button. To Edit, change your ads expiration date (at no charge) go to the far right side of the Personal Account Information Page and click the Edit link. In the Ad Expiration date block simply back out (delete) the current date shown and enter a new date approx. 90 days from the date you are making the change. Be sure to use the correct date format (as shown above) when entering new date. Go to the bottom of the page and click the " Update Ad " button. 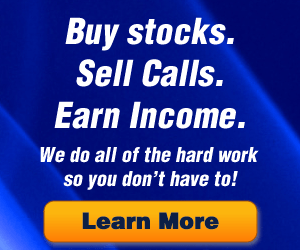 You may renew your ad back to the top of the FOR SALE LISTINGS PAGE and automatically extend your ads expiration date by 90 days by logging into your Accounts Manager Page at the Main Menu of RVclassified and clicking the RENEW link at the far right of the page in the ACTION COLUMN and paying the appropriate renewal fee. Please note: This service automatically places your ad back at the top of the For Sale Listings and in the case of a Featured Ad will continue to hold it at or near the top of the For Sale Listings for an additional 15 days and your photo will again appear at the top of the For Sale Listings page. 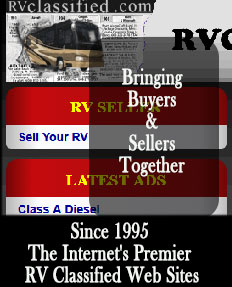 It does not place your ads photo back on the Main Menu of the RVclassified site. To add photos simply click the Browse Button for each photo placement and select the photo you wish to ad from the directory of your computer. After selecting the photo you wish to place click the OPEN button and it will be placed in the photo placement form. Do the same for each photo you wish to place and when finished go to the bottom of the page and click the " Update Ad " button. To Edit /change Photo's in your ad, go to the far right side of the Personal Account Information Page and click the Edit link. scroll down to the photo installation portion of the form and click the Replace button for the photo you wish to change then click the Browse button for that photo and select your new photo choice from the directory of your computer. Make all changes for each photo to be changed or deleted and scroll to the bottom of the page and click the " Update Ad " button. 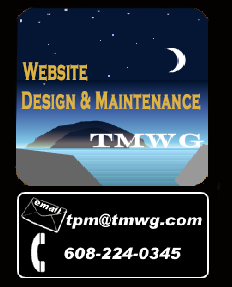 To Edit your Personal Contact information from your Personal Account Information Page click the link for "Update my Contact Information" and make any necessary changes then scroll to the bottom of the page and click the " Update Ad " Button. Should you experience an difficulty you may contact Support at RVclassified by clicking the Contact Customer Support link below Please include your Ad Id # and a brief description of the difficulty you are experiencing.